Now, let me say from the outset that I sincerely hope we can have a thread to discuss the life and works of this composer (as we do for so many others), without the insane bickering and backbiting that caused the 'Sir Edward Elgar' thread to get locked. We've been there, done that - let's move on. Having recently acquired both this disc and Barbirolli's classic take on 'The Dream of Gerontius', I'm amazed at the variety and complexity of Elgar's vocal writing. Whatever one might think of Elgar as an orchestrator, his way with layers and textures of voices is quite something. I confess a preference for his vocal writing for smaller forces, but the way he masses sound in larger works is quite impressive. Of the part-songs I most enjoy, 'The Shower' stands out farthest. In many respects, it puts me in mind of Stanford's 'The Blue Bird': both have a serenity about them, both seem to convey something far beneath their apparently simple words, and each seems to me to be a perfect example of knowing how much is enough. 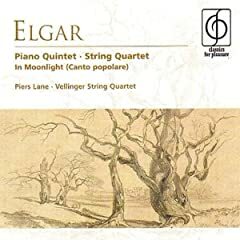 Even if one listens not to the words of 'The Shower' but to the sound as it washes over you (slight pun intended), one gets the sense that Elgar had an instinct for vocal writing - something for which, AFAIK, he's rarely given due credit. So, Elgar and his lesser-known works. Are there any which capture your imagination? If not, what are your thoughts on his better-known material? Which performances do Elgar most justice, and which would you recommend others avoid? I love Sospiri and Prelude to the Kingdom, also "The Waggon Passes" from the late Nursery Suite. Thanks for kicking things off Mark. I have that CD. It's not my favorite Elgar but sometimes it's nice to listen to these part-songs. The Snow Op. 26, No. 1 is a small vocal work I'd bring up. Thanks for kicking things off Mark. I know I've heard this, and that I have it on some sampler CD somewhere (not among my main collection). I'll have to dig it out and have another listen. It's quite short, isn't it? I'll have to dig it out and have another listen. It's quite short, isn't it? Sospiri, Op. 70 is about 5 minutes long. I have 4 performances of it, 2 for string/chamber orchestra and 2 for violin and piano. And it's for strings only, yes? Anyone familiar with this (rather inexpensive) disc? Another piece which absolutely must be mentioned on the first page of any Elgar thread pretending to respectability, is the Sonata for Violin & Piano in E minor, Opus 82. Head and shoulders above the Piano Quintet, IMO, though I do enjoy the latter. Thanks for the tip-off. Wasn't aware of this work. It was completely off my radar until Nigel Kennedy played this at Old Cabell Hall in Charlottesville. I turned pages for his accompanist, and the piece has had me in its fell grip ever since. 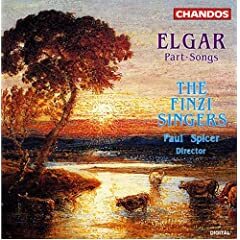 When I saw Finzi: Elegy it took me a long second to realize it's not the Eclogue. 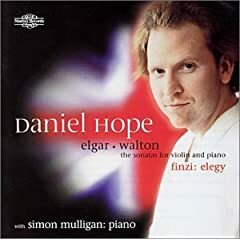 The Walton I should listen to again, too; that looks a nice disc, Mark. It's superb, Karl. Buy it without delay.